I admire Jodi Kantor’s gumption in trying to squeeze some essence out of the “Michelle Obama booed at NASCAR race” story. The story percolated on Monday, because Rush Limbaugh accused her of “a little bit of uppity-ism.” This was a surprise, because Rush Limbaugh never says things that can be interpreted as racially inflammatory. * So we had a predictable outrage, followed by a predictable outrage, with race injected into it by an interpretation of a Limbaugh quip. Who to call in as an expert? In a brief interview, the Rev. Al Sharpton, the activist and television and radio host, shrugged off Mr. Limbaugh’s comments as a distraction. All that said, the pockets of right-wing disdain for Michelle Obama are pretty amusing. It’s a fringe belief – her unfavorable ratings are slumming along in the 20s. She’s run the Hillary Clinton play of cancelling out some campaign-era negatives by focusing her attention on popular issues; she was booed when promoting a jobs program for veterans. Articles about Obama behaving in some non-ideal way are sure-thing traffic bait – see here the works of Andrew Malcolm, who I’m pretty sure is a cylon engineered to get Drudge Report links – but that’s mostly it. 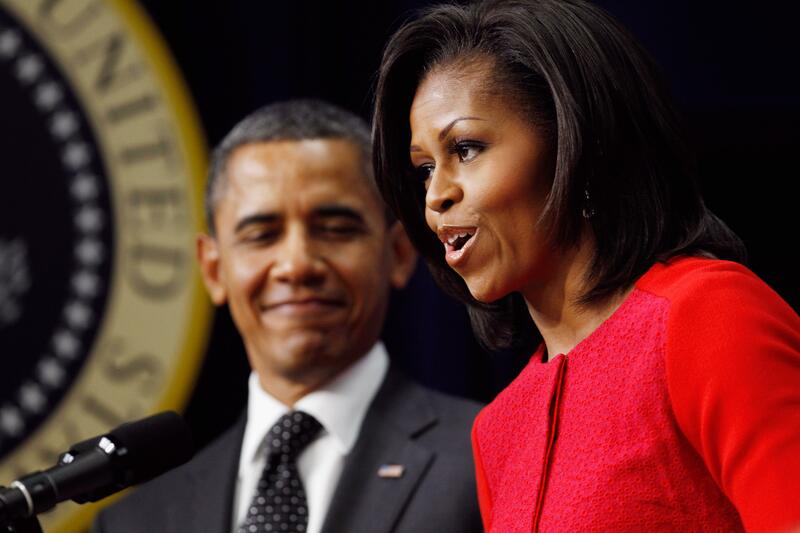 They represent no groundswell of Michelle Obama backlash. There’s no upside for people like Sharpton to engage it, because her post-campaign, post-racial image was hard won. The “battle of the potential first ladies” is one of the most unsettling campaign issues – and yeah, it’s an issue – but I think the winner is deteminated by the Republican nominee. If Newt Gingrich pulls an upset, Americans will face a choice between Michelle Obama and a woman who was the Other Woman in an affair. If Romney wins, the swing voters who care about this stuff will meet a woman who met her husband when they were kids, raised five successful sons, and now lives with M.S. For the sake of punditry, surely we’ve got to root for Gingrich.